Why does it matter to feed a dog with grain-free dog foods? Well, few decisions that pet parents make are as impactful as choosing a dog food. Pick the right food and your dog will live a long, healthy life; pick the wrong food and your dog may suffer from nutritional deficiencies, digestive upset or skin problems. While there are a number of different high-quality dog diets on the market, many of the best are made without grains. Grain-free foods provide many health benefits to dogs, including the 12 we’ve decided to list below. p.s. if you’re already convinced, we’ve got a top 5 best grain-free dog foods published a few weeks ago, so check it out! Many dogs suffer from a dull, dry coat, thanks to the food they consume. In many cases, these dogs begin exhibiting better coat health after switching to a grain-free dog food recipe. However, the exact reasons this occurs are not entirely clear. The elimination of grains is certainly part of the cure for poor coat health, but the premium ingredients – including many that are rich in omega fatty acids – that are used in most grain-free recipes may also play a role in improving your dog’s coat condition. Many dogs begin producing less waste after switching to a grain-free food. This means your dog will not only have to go to the bathroom less frequently, but his stools will be smaller too. This occurs because grain-free foods do not have as much indigestible material (fiber) as foods that are full of corn and wheat have. Additionally, the potatoes and tapioca used to replace the carbohydrate content of grain-free foods work as thickening agents, and help slow the transit time of food through the intestines. Grains can cause many dogs to suffer from dry, itchy, irritated and inflamed skin. 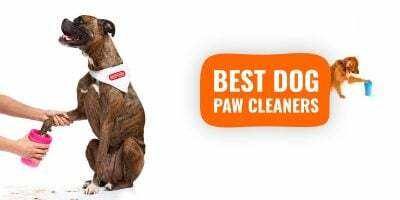 If not addressed, the condition can progress, your pooch may lose hair or develop infections. However, many dogs enjoy improved skin health after switching to a grain-free recipe. Although some dogs will exhibit an improvement in skin health after only a few days or weeks of switching to a grain-free recipe, skin condition improvement occurs more slowly in other dogs. Dog foods that are low in carbs generally offer higher levels of omega 3 and omega 6 fatty acids, both vital to a healthy skin. Fats are not the devil, far from it! 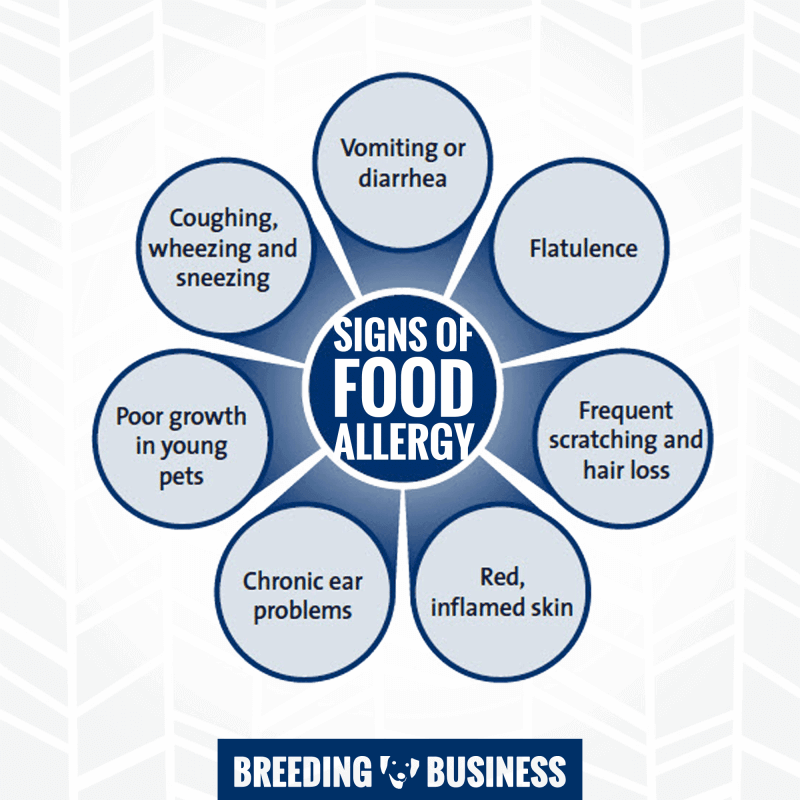 Signs and symptoms of food allergy in dogs. Some dogs are allergic to the proteins found in many common dog foods. When allergic dogs consume these proteins, their immune system overreacts, often leading to itchy skin. Beef, chicken, milk and dairy are the most common allergens, but many dogs are also allergic to corn, wheat or other grains. For these dogs, a grain-free diet can help put an end to their food allergy symptoms and improve their quality of life. 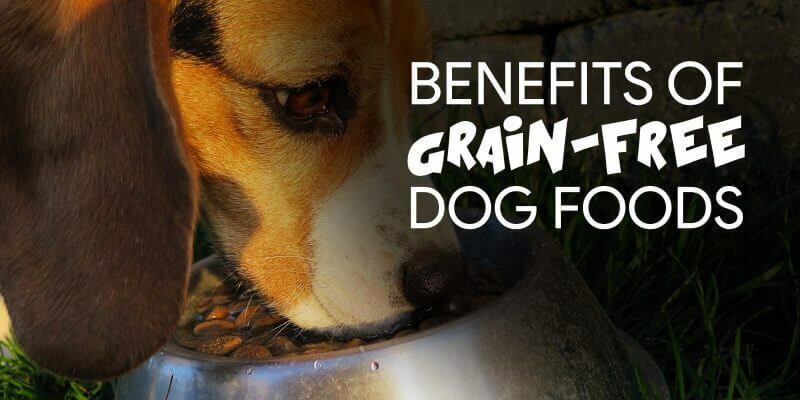 Most dog foods – especially those at the low end of the price spectrum – are packed full of enriched, processed grains. This means that the outer layers of the individual grains have been mechanically removed to improve the grains’ taste, color and texture. However, this process removes much of the fiber content of the grain. This means that your dog’s body burns through the energy contained in the grain very quickly, which causes a quick spike and then a precipitous fall of your dog’s blood sugar levels. By contrast, grain-free dog foods generally contain fewer of these easily digested carbohydrates, which means your dog’s blood sugar level will remain more consistent, thereby providing him with more energy. 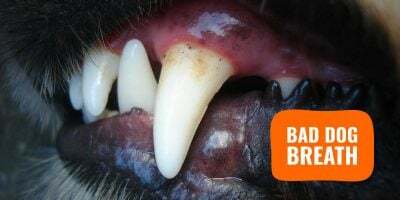 Grains tend to leave a film of carbohydrates on your dog’s teeth when he eats. While the food particles are eventually washed off by your dog’s saliva, this happens over the course of several hours. In the meantime, bacteria in your dog’s mouth will begin feeding on the remaining carbs. These bacteria often produce foul-smelling odors, which can give your dog bad breath, or canine halitosis. Grain-free foods do not cause this problem, or at least not to such a bothersome extent. Although dogs are not very prone to cavities (unlike us humans), excess carbohydrates will definitely promote bad oral health and cavities. It is important for any dog owner to brush the dog teeth every few days. 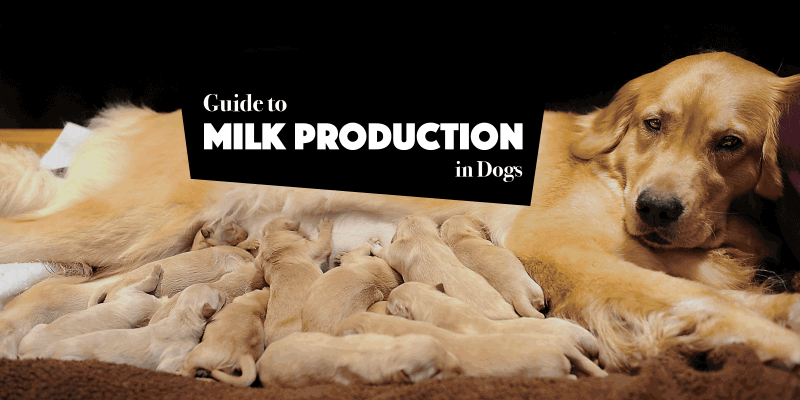 Corn, wheat and other grains often cause many dogs to produce copious quantities of gas. This foul-smelling gas is not only unpleasant for owners, it often causes your dog to feel cramping and discomfort until he eventually passes it. 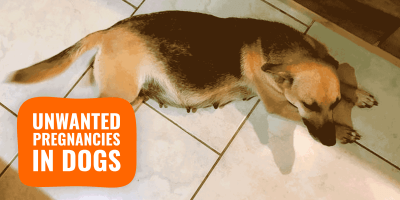 Gas in dogs is not necessarily a bad or unhealthy thing, but it’s more of an inconvenience. In a few situations, it could be a sign of a more problematic digestive health issue. However, grain-free diets rarely cause these same types of problems, and most dogs produce much less gas after switching to such a food. Many high-quality grain-free diets also include probiotics, which can provide further flatulence relief. Simply providing more food is not the ideal answer, and many vets recommend providing pregnant or lactating females with more protein. As grain-free foods often contain high protein contents, they can be helpful in these cases. Potatoes, sweet potatoes, peas and other carbohydrates used in place of grains cost more than cheap fillers or grains such as corn or wheat. Using quality complex carbohydrates increases the final cost of grain-free dog food and is not really a good business practice even if it’s a lot healthier for the dogs themselves. This means that most consumers who purchase grain-free foods prioritize the nutritional value of the food more than its price. Because manufacturers know that grain-free consumers are more likely to scrutinize the ingredient list and nutritional information, they usually include premium ingredients in the recipe. For example, you’ll often find that such foods include better cuts of meats and more antioxidant-rich fruits and vegetables. Grains are often used to in dog food recipes because they contain a ton of calories and are super cheap for the manufacturers. So, when brands produce a grain-free recipe, they have to make up for the calories lost by including other ingredients in the formulation. Typically, grain-free dog foods do this in part by including potatoes and other carbohydrates, but they frequently increase the protein content too by providing more meat or meat-based products. This protein provides the raw materials your dog needs to build and replace his muscle tissues. It’s of primary importance if your dog is very active. Your dog is an omnivore, who can digest most food types – even carbohydrates. But, this does not mean that your dog can digest different food types with equal ease. Your dog’s digestive tract handles proteins and fats quite easily, but grains do take more effort to break down. 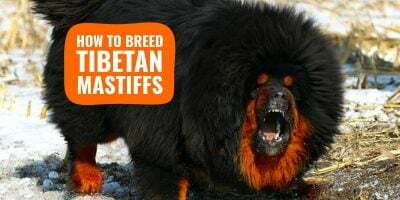 Things like potatoes, sweet potatoes and tapioca, which are often used in place of grains in grain-free recipes, are easier for your dog’s body to digest than grains, which allows your dog’s body to operate more efficiently. The jury is still out on the safety of genetically modified organisms (GMOs). And while science may ultimately determine that these ingredients are safe, many dog owners are keen to avoid them in the meantime. Corn is one of the most commonly modified ingredients used in many dog foods, so by sticking to grain-free products, you can help cut down on the number of GMOs your pet eats. Some grain-free formulations take things a step further, and avoid using other common GMOs, including soy and canola. 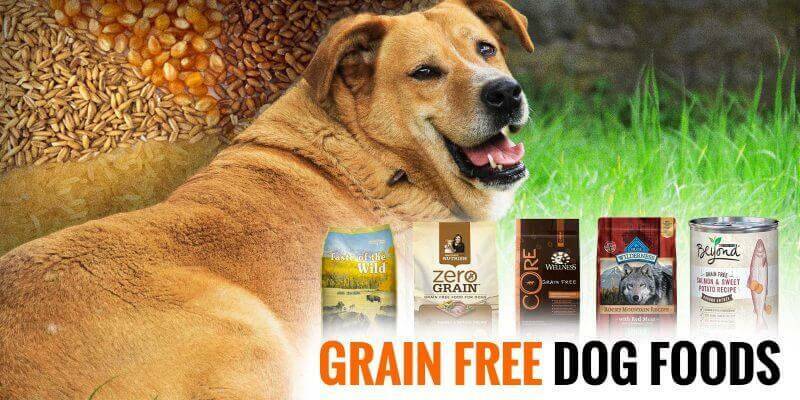 Read our article reviewing the top 5 best grain-free dog foods currently on the market! 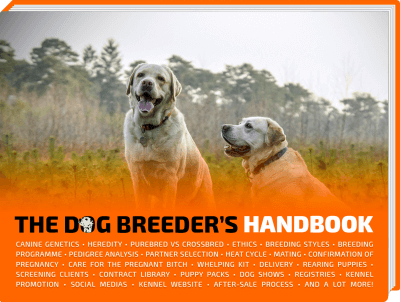 Go read our express guide to transitioning to a new dog food! It is always important to switch your dog’s food gradually. Start by giving your dog meals consisting of about 10 percent new food and 90 percent old food. If he tolerates that well and does not experience any digestive upset, increase the amount of new food provided in the mix the next day. Continue doing so until you are only providing the new food, which should take about 5 to 10 days. Grain-free diets are not appropriate for all dogs, and you’ll want to avoid causing problems for your pooch unnecessarily. Be sure to speak with your veterinarian before making any significant changes to your dog’s diet. About The Author – Jayson Murphy is a pet blogger and enthusiast who writes on Pet Wellness Advisor. He has devoted his time and energy to helping pet owners make informed decisions about the care and well-being of their cats, dogs, and other pets. Jayson is a proponent that proper nutrition and diet is the most important part of creating a healthy, happy, and quality life for a pet. Although he’s a lover of all dogs, his cocker spaniel Jordan is the biggest part of his life. He hopes to adopt another dog soon!